Located in one of the most important pilgrimage centres of India, Hotel Narayan Palace is 3 star deluxe hotel of Badrinath. 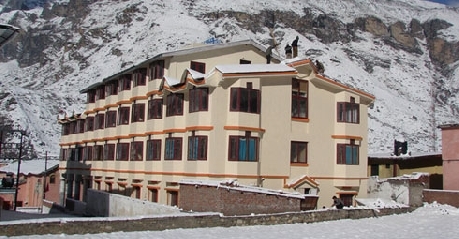 This government approved hotel has served many politicians and celebrities and has been rated as the finest hotel in Badrinath. Its close proximity to a number of temples and religious places makes it the most preferred choice for the religiously inclined. All the 40 rooms are well-appointed with latest amenities and are categorized into Standard Rooms, Suite Rooms, Deluxe Rooms and Super Deluxe Rooms. Gauradshila, Big Daddy and Vasudhara are the three fine dining multi-cuisine restaurants at the hotel serving mouth-watering delicacies from Indian, Marwari, Continental, Chinese and Gujarati cuisines. Fully-equipped conference rooms are also provided by the hotel for the discerning businessmen. These rooms are ideal for conducting seminars, conferences, get-togethers and exhibitions. Guests during their stay at the hotel can indulge in rejuvenating activities such as meditation and yoga for a complete healing experience. Safe deposit boxes, large parking area, fax service, lift facility, banquet facility, 24-hour room service, internet services, front desk, multi-lingual hotel staff, trekking, airline desk, car rental, currency exchange, laundry service and doctor on call and sightseeing tours are some of the facilities offered by the hotel. 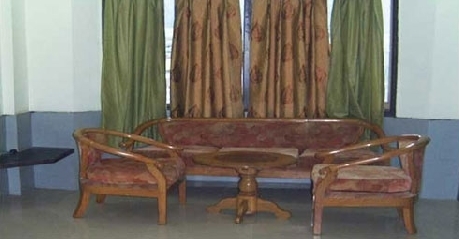 All the four Standard Rooms are tastefully decorated for the convenience of every guest. The decent interiors and warm use of colours makes the ambience of the room all the more appealing. 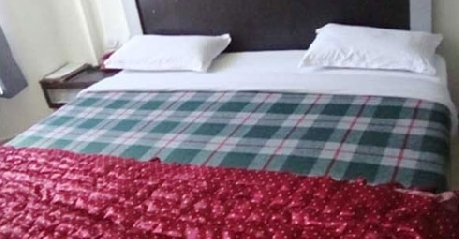 Some of the state-of-the-art facilities offered within these rooms include doctor-on-call, 24-hour room service, laundry service, attached bathroom with hot and cold running water, tea/coffee making facility, room heater, direct dialling phone, LCD television with premium TV channels and 24-hour in-room dining. There are four Suite Rooms offered by the hotel. These Suites are fully carpeted with decent interiors offering outstanding outside view. Guests while their stay can enjoy a number of facilities such as room heater, LCD television with premium TV channels, laundry service, 24-hour room service, tea/coffee making facility, attached bathroom with 24-hour hot and cold running water, 24-hour in-room dining, doctor-on-call and direct dialling phone. The classic 28 Deluxe Rooms are designed in a contemporary style fully equipped with all the latest amenities. All these rooms are fully carpeted offering picturesque outside view. Each and every facility offered by the hotel ensures comfortable stay of its every guest. Enjoy an array of facilities offered within these rooms like attached bathroom with 24-hour hot and cold running water, direct dialling phone, room heater, 24-hour in-room dining, tea/coffee making facility, doctor-on-call, 24-hour room service, LCD television with premium TV channels and laundry service. The superbly decorated four Super Deluxe Rooms offers a comfortable stay. The attached spacious bathrooms are fully equipped with all the latest and necessary amenities. Laundry service, tea/coffee making facility, 24-hour room service, LCD television with premium TV channels, doctor-on-call, 24-hour in-room dining, 24-hour hot and cold running water, direct dialling phone, room heater and 24-hour room service. 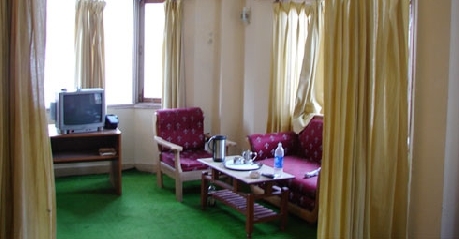 Hotel Narayan Palace in Badrinath, Uttaranchal consists of 40 well furnished rooms; they are categorized into 4 suit rooms, 28 deluxe rooms, 4 Super Deluxe rooms, and 4 Standard rooms. Facilities like EPABX, full carpets, en-suite bath with running hot and cold water, satellite Television and pictorial view from all rooms are available here. Big Daddy is an exclusive in-house restaurant of the hotel. The serene ambience of the hotel is ideal for sharing a candid moment with your friends and loved ones. Indulge in mouth-watering delicacies from Gujarati, Indian, Chinese, Continental, Marwari and South Indian cuisines. 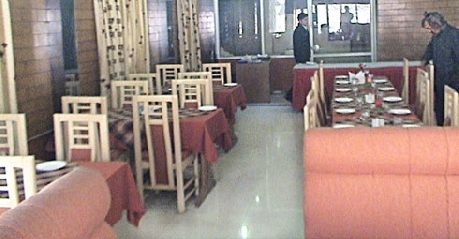 The personalized service of the staff makes the restaurant an ideal place to visit. This in-house restaurant serves delicious culinary preparation from a number of cuisines. The decent interiors and serene ambience of the hotel attracts a number of food lovers. Try a wide range of exotic dishes from different cuisines under one roof. The warm hospitability and finger-licking food makes this in-house restaurant first choice for the guests.